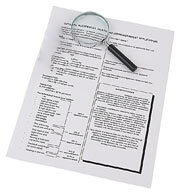 TITLE-TECH - a company known for real property title searches and courthouse document retrieval, whose primary goal is to establish long lasting business relationships with real estate related companies..
We have 43 years of experience in the Texas and Missouri title industries and related fields of research and public information retrieval. Our clients include attorneys, lending institutions, mortgage servicing companies, city services, and other research companies. We use a combination of private and public information to search the records of 22 Texas counties, either electronically or directly at the courthouse. Copyright ©2007 Title-Tech, Inc. All rights reserved.Web Hosting and Web Design by VIRTBIZ Internet Services.